At last! 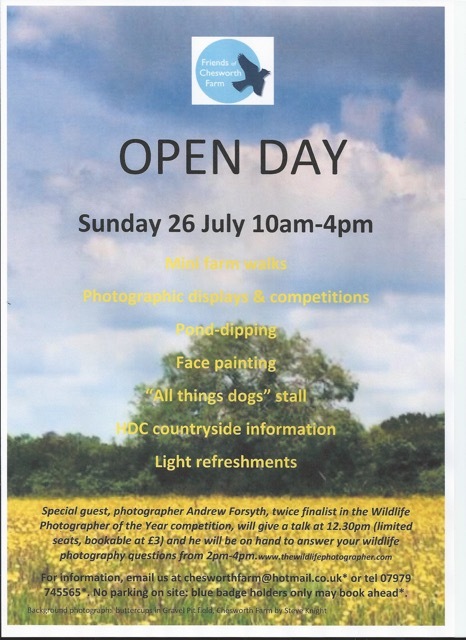 We are ready to show you what we have planned for our first Friends of Chesworth Farm Open Day on Sunday 26 July 10am-4pm. See the poster above for all the details. Please note, as usual there is no parking on-site, however Horsham District Council has given us permission to allow blue badge holders access to parking in the Parks depot, please contact us in advance to arrange this. We look forward to seeing you! 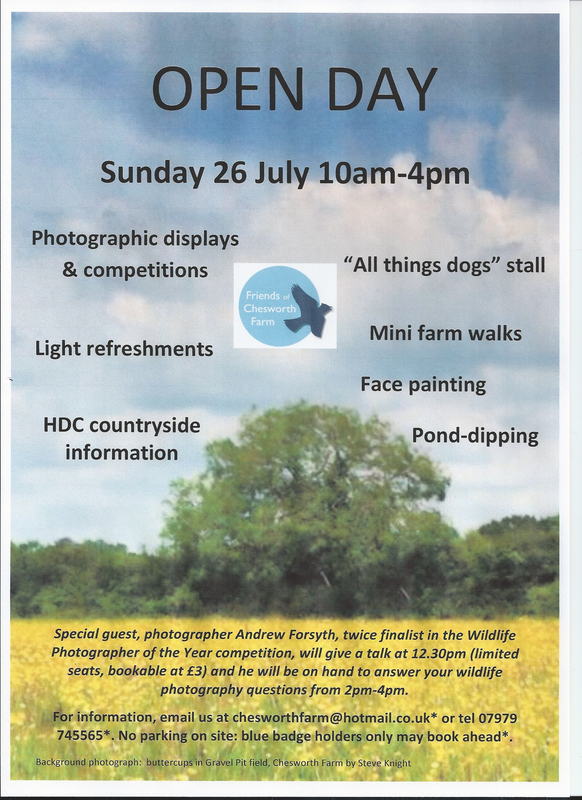 Plus we have a stop press for wildlife photographers for a special event which is not on the poster: our guest, photographer Andrew Forsyth, twice finalist in the Wildlife Photographer of the Year competition, is leading a guided photographic walk “Photography in a new way” around the farm at 10.30am. We have a very few places left for this event, where Andrew will be giving tips on technique. Find out more about Andrew and his work at www.thewildlifephotographer.com. Tickets £10 per person. This also gives you free entry to Andrew’s public talk at 12.30. First come, first served and payment in advance is essential to confirm your place. Contact details are on the poster and also here: email chesworthfarm@hotmail.co.uk or telephone 07979 745565 or contact page.